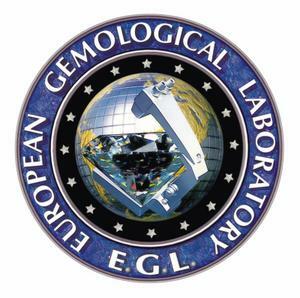 Ramat Gan, Israel - December 3, 2014: EGL (European Gemological Laboratory) announced it has appointed Menahem Sevdermish, a founding owner of the EGC laboratory in Ramat Gan, Israel, as its global manager. In this capacity, Sevdermish will manage and oversee the diamond grading activities of all EGL affiliates and will direct the network's global policies and communications. Sevdermish is a globally well-known and respected gemologist who has operated an EGL-affiliated laboratory since 1981. In a statement, EGL thanked and congratulated Mr. Sevdermish for taking this significant task upon his shoulders, noting that he is a formidable gemologist with a world-wide reputation as a laboratory manager, researcher and innovator. "His broad experience, his dedication to gemology and his passion for the joint venture will be highly valuable in taking the EGL network into calmer, mainstream waters. EGL is confident that he will succeed in the reorganization of the network and ensure strictly controlled and homogenous grading practices throughout the network," the statement said. "We are, of course, very much aware of the publicity in the trade press and international media and of the largely unjustified and damaging campaign of Martin Rapaport against the network," Alan Lowe, managing director of EGL South Africa, commented. "It is therefore fortunate that the EGL brand owners have taken such quick and decisive action. I look forward to working closely with Menahem and wish him - and all other EGL network members - the best of success." "As global manager I will do my utmost to strengthen the EGL network globally and to ascertain that EGL remains a major gemological service provider to the international diamond, gem and jewelry industry and trade, and will instill confidence throughout the supply pipeline, from the trade down to the end-consumer," Sevdermish concluded.